500 years ago, Martin Luther nailed his ideas to a church door - and the Reformation began. Or maybe it was a little more complicated than that. Nick Page brings his skills as an unlicensed historian to bear on this key period in European (and world) history in order to uncover everything you need to know about the Reformation - with a fair few bits you never wanted to know thrown in for good measure. In-depth research, historical analysis and cutting-edge guesswork combine to scintillating effect in this fast-moving examination of the strange and wonderful whirlwind that was church life in late medieval Europe. It's roughly 500 years since the beginning of the reformation, and if you move in evangelical circles then you have probably seen references to the reformation all over the place in recent months. 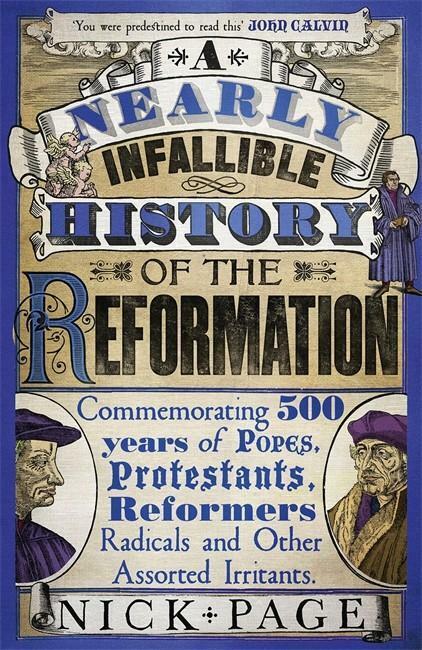 Our local cathedral had a big celebration event about the reformation which is quite ironic really as you would find out if you read this brilliant book by Nick Page. I have been a fan of Nick's brand of historical writing for some time, I think it started many years ago with "The Tabloid Bible" which took Bible stories and turned them into red-top newspaper headlines! Since then I have taken many journeys through time with him, from investigating "The Longest Week", a trip to the isle of Patmos down "Revelation Road" and even had a visit to his shed in "The Dark Night of the Shed". Nick's humour resonates with me and it makes reading these books a pleasure, and incredibly informative. I never thought I would read a whole 450+ page book on the history of the reformation. I have a small passing interest in church history, it is good to know where the ideas that shape our churches today come from. After reading this book though I feel that I am coming away more informed about what actually happened and I have enjoyed a good chuckle -and the occasional gasp along the way! There is so much that I thought I knew that seems to have just been a good story - the most famous example is the idea that Martin Luther nailed his 95 Theses to the door of Wittenburg Castle church - Nick looks not only at the inflammatory contents of the document, but also investigates if this even happened. Living in our enlightened age of tolerance (?!) it is easy to look back at the past with rose tinted glasses and see the victory for our side of the theological battle. However history is rarely that clean - no matter which side of the theological spectrum you may perch, the past left a lot of people with blood on their hands! Nick is good at putting balance into this, sure the Catholic church were extorting money and using force to maintain the religious status quo, but were some of the reformers any better? The book starts with a look at the need for reformation with a brief history of the situation in the catholic church leading up to the events of the early 16th Century. Then Nick takes his time to spell out what happened in different countries at different times. Obviously most of the events really concern Europe and there are great pains taken to explain the social structures and to examine the different theologies as they splintered out from the core early reformers. 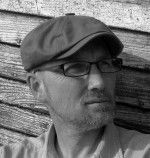 Nick takes different approaches in this book, sometimes looking at the characters themselves and at other times looking at the geographical and political locations. Each person and area seemed to take on the church and the Holy Roman Empire in different ways. 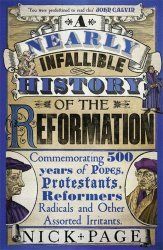 Using humour, interesting footnotes and a lot of research Nick gives a good summation on the reformation. Through the book there are also 'top trump' like cards that rank the different reformers on a number of criteria including grumpiness, facial hair and other important factors. Also scattered through the books are some adverts and other funny bits and pieces. Basically you can look at this as a 'Horrible Histories for Adult Christians'. Using humour it is surprising how much goes in, even when you don't realise it! I really enjoyed this book. I was looking forward to it, but also dreading it at the same time because it is an investment of time to read this, especially if it's a topic you're not keen on. Nick's writing brings the whole overview to life, giving you key information, but making it a lot of fun at the same time. I'm sure Nick is already beavering away on his next book - but this is an excellent read. It might be a little too tongue in cheek for many universities and colleges but at least it makes history interesting!